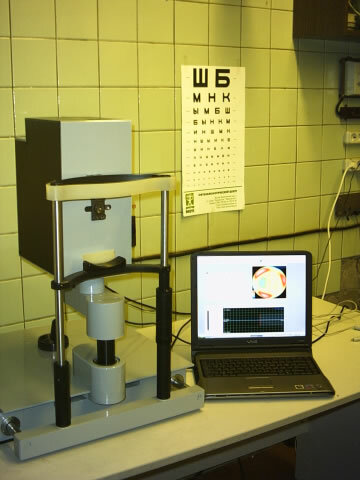 The aberrometer is necessary for high accuracy measurements of the aberrations of the human eye. It consists of optoelectronical hardware and software, which performs fast and effective diagnostics of high and low order aberrations. 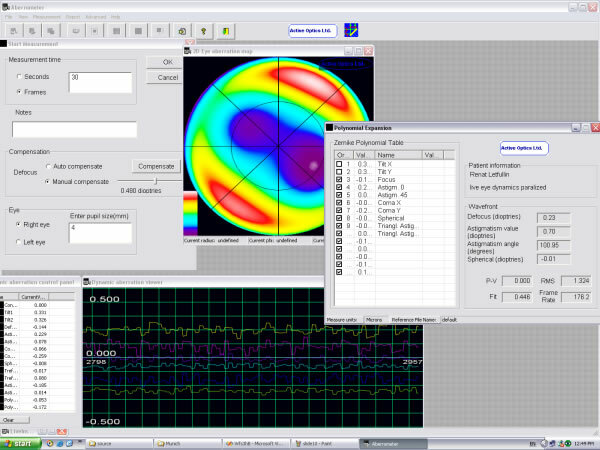 Our aberrometer measures: high order aberrations with the help of the Shack-Hartmann wavefront sensor, produced in our laboratory, and low-order aberrations using special nodes for compensation of defocus and astigmatism. 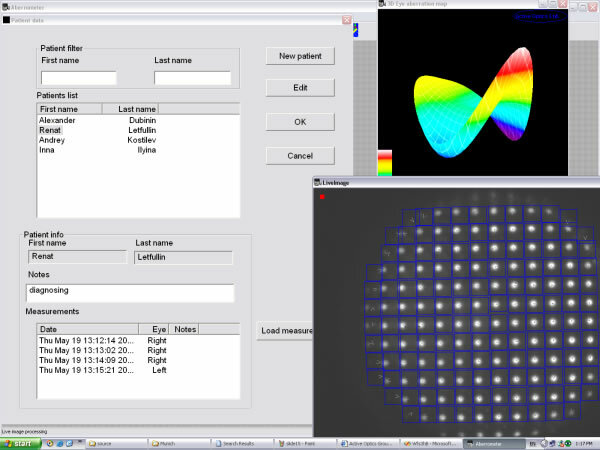 The software provides the Zernike polynomials expansion (up to 36 order), and visualization of other characteristics of the wavefront, such as RMS, P-V and interferogram. 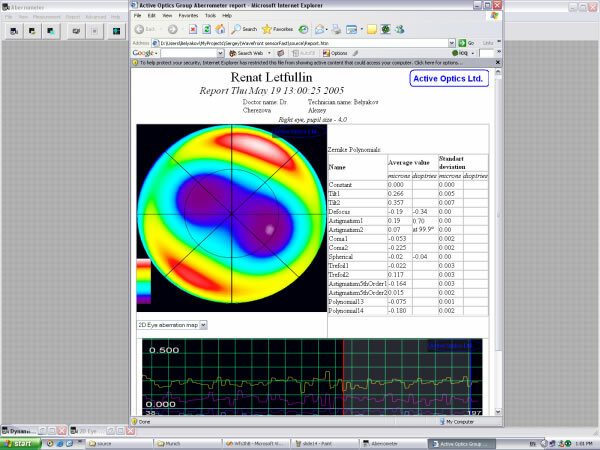 Beneficial option of our aberrometer is correction of the human eye aberrations by the adaptive mirror. 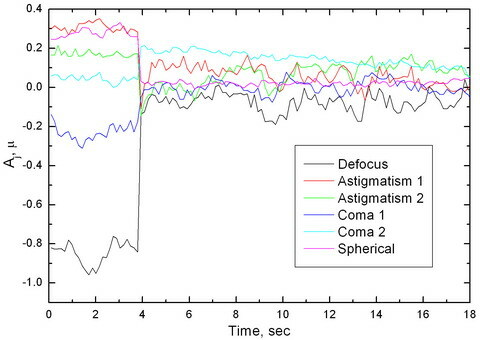 This figure illustrates the dynamics of Zernike coefficients and the amplitude of the wavefront aberrations of the human eye after adaptive correction by the adaptive mirror. In this case correction algorithm was turned on approximately after the 4-th second. As seen from the figure, adaptive correction considerably decreases the amplitude of the aberrations. Residual aberrations are mostly due to occasional movements of the eye during the procedure. The animation shows the dynamics of the wavefront correction by the adaptive system.